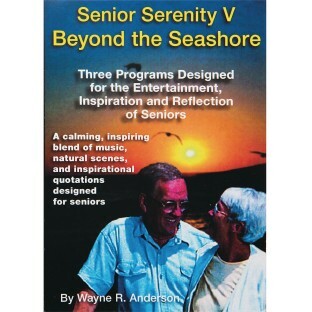 This wonderful series was produced specifically for seniors ages 65 and over to provide entertainment, hope and inspiration. 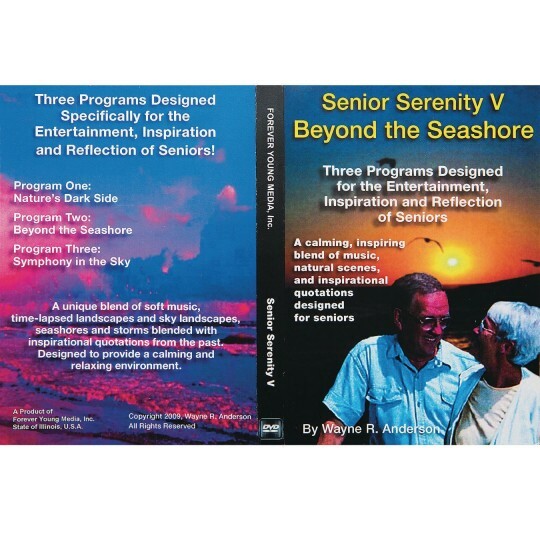 They engage clients to provide a product that many times cuts through senior depression and makes them want to both talk and contribute. The videos are a combination of relaxing music, natural scenes (landscapes, seascapes, wildlife, birds, butterflies, hummingbirds, flowers, gardens lighthouses etc.) and positive voice-over quotations of notables from the past that focus on hope, life, love and more. They also help jog memories, and encourage sharing and communication. 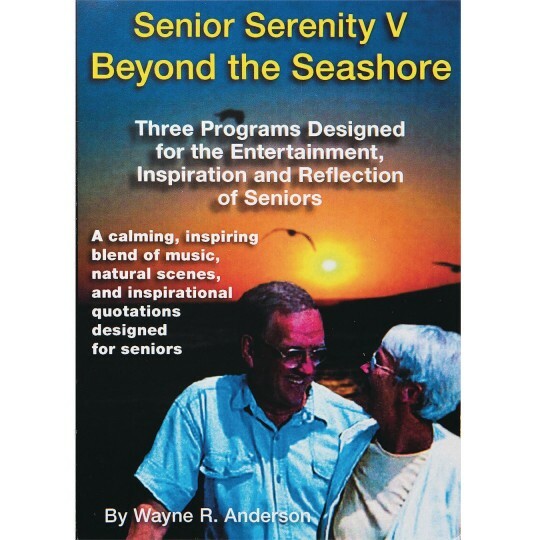 The voice-overs are specifically designed to help address cognitive and vision problems while promoting positive aspects of the daily life of seniors. The natural scenes' content engages the senses through relaxation which has proven valuable for memory, and some physical ailments. Each DVD features 3 authored videos and the user can go directly to any one of the movies they want to view or view all 3 continuously. Total run time: 37 minutes and 30 seconds. Features scenes of storms, lightning, tornadoes, hurricanes to highlight the dark and violent side of nature. Quotations reflect that it is possible to hope and tranquility in the midst of a violent storm or extreme difficulty in life. Features relaxing beach scenes from all over the world. Unwind as you observe the tranquil sound of the waves crashing into the beaches. Quotations are about fate, and the unexpected and how you should look at it with hope and optimism. 3. "Symphony in the Sky"
Features magnificent sunrises and sunsets as well as showcases the marvelous beauty in the heavens. Quotations reflect the value and importance of love and kindness in our lives.